Welcome to the family history page for the descendents Geoffrey Charles Reilly, his family, and all their ancestors. The first Reilly came from Ireland to Western Australia in 1853 on a convict ship (though fortunately he was not a convict!). There is heaps more Reilly History. 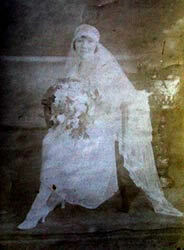 We have some family photos, which we hope to expand soon with some more on our ancestors. Did you know that Amos Norcott fought in the battle of Waterloo and was knighted? Did you know Charles Norcott's brother-in-law Chauncey Hare Townshend played county cricket for Kent? Did you know that J T Reilly was founder of the Northam Advertiser and the WA Catholic Record. There is lots more interesting stuff to find out about this family. Search the family tree, and let us know if you have any additions or corrections.